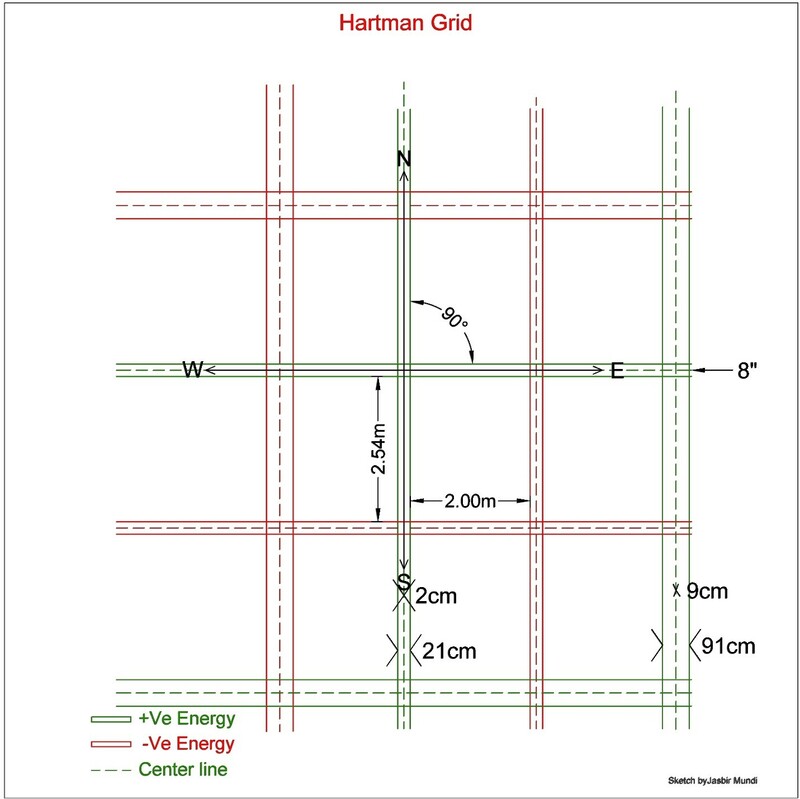 Hartman grid:-In 1960's, Dr. Ernst Hartman was the first one to find out that there is a global grid of radioactive energy walls around us, hence its name is given after him as Hartman grid.This network spreads from East to west and North to South and penetrates everywhere, even over open ground or through dwellings.The East-west lines repeat at the distance of every 8 feet 4 inches (2.54 meters) and the North-south lines repeat at 6 feet 8 inches (2 meters). 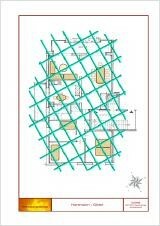 Mostly these lines are 21 cm (8 inches) wide, with a 2 cm center wide to 3 feet (90 cm) wide.Every alternative line is either positively or negatively charged. Hence at intersection point these lines might have a double ++ charge, double - - charge, or + - charge .The zone between the lines is neutral.The lines itself are not a problem, but they create a geopathic stress point (Hartmann knot) where they intersect with each other, especially if they are double - - negative charged .Harmful radiations are further intensified if they cross over a black stream and it is the worst place to.